Beginner Yoga by Nancy Weshkoff | Moonflower Yoga Inc. If you have never tried yoga before, the best way to start is with a beginner yoga class. 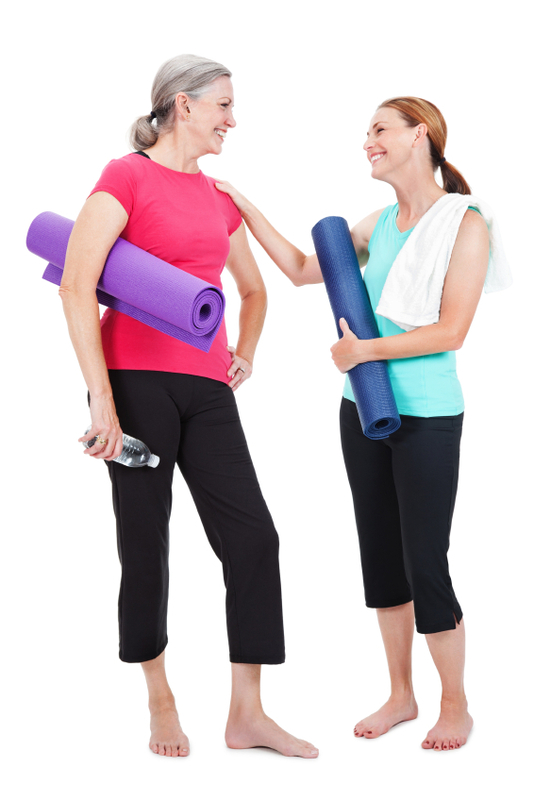 It is in a beginner yoga class where you will begin a wonderful journey to better health and well-being. Contrary to what you might think, beginner is not just for people who have never tried yoga before. Beginner yoga is great for everyone. In a beginner yoga class, you will move at a slower, gentler pace. In doing so, you can concentrate more closely on your pose and really feel your muscles moving and stretching from posture to posture. You can focus on linking your movement with your breath which helps you move more deeply and brings you renewed energy. And you can pick up some helpful tips on how to improve core, fundamental poses. Prior to becoming a yoga teacher, I spent many years practicing yoga at various studios. I often attended beginner classes, even though I had several years of yoga experience. I enjoyed the flow of a beginner class as it gave me an opportunity to concentrate more deeply on my movement. I also enjoyed talking with new students and encouraging them while sharing my yoga experience. Newer students have asked me how long they need to take a beginner yoga class before moving to a more intermediate level. Each person is different, and there is no set period of time. I strongly encourage everyone to be truly comfortable and understand the basics of core, essential yoga poses before trying something more challenging. You may find, as I did, that beginner yoga is perfect for you at every stage of your yoga practice. If you are looking for a great beginner yoga class with a great yoga teacher, Moonflower Yoga has a wonderful variety to offer you. We have beginner yoga classes on weekends, weekday mornings, and evenings. Whichever time frame you pick, you will have a find a class that meets your needs. If you are in the area of Bellmore, in Long Island, New York’s Nassau County, come give one of our great beginner yoga classes a try! Our class size is small and semi-private so you can receive personal attention, and our instructors pay attention to you so that you can have a wonderful yoga experience. And remember beginner yoga is a fabulous choice for everyone!